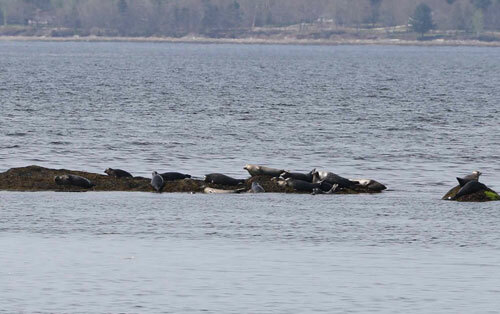 The shores just off of Mount Desert Island offer the nicest beaches and waters for lots of seasonal activies. Bayside Hideaway is a pleasant beachfront cottage, offering guests terrific swimming, kayaking, fishing and beachcombing! 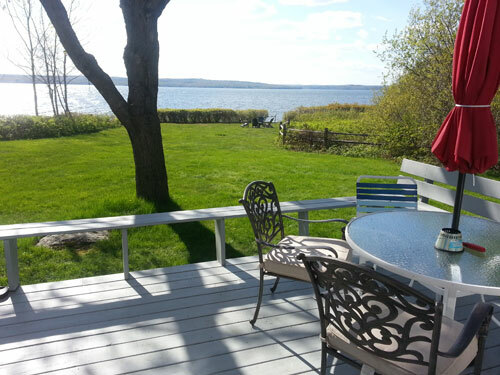 Enjoy lovely views of the bay and Blue Hill Mountain and marvelous sunsets, frisbee and touch football on the expansive lawn and sunbathing on the deck! 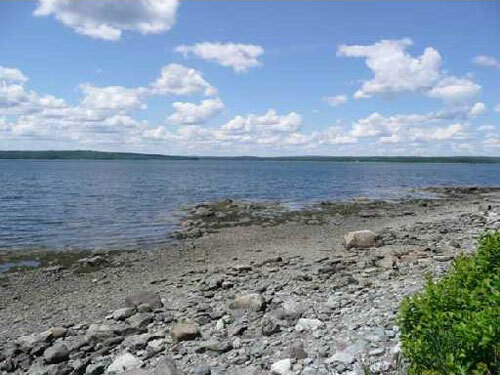 The property provides a great family vacation destination, while being less than 30 minutes to downtown Bar Harbor and Acadia National Park! This two-story cottage features three bedrooms: 1 king, 1 queen (on the first floor), and a third bedroom with two twins. There is a full bathroom on the first floor and one on the 2nd floor. Sleeps seven maximum with a small sleep sofa in the king bedroom. There are water views from virtually every room. . . kitchen, dining, living, and upstairs master having complete vistas, while the downstairs queen has a private, glassed side door offering a direct water view and a very small private deck for morning coffee. Amenities include cable TVs (3), DVD, BBQ grill (gas), microwave oven, WIFI, outdoor firepit, washer/dryer, dishwasher. NOTE: for 2019 A/C units will be installed. Click here for more complete list of household items/amenities. 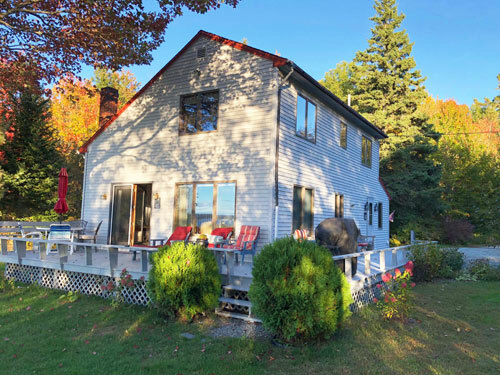 Just 7 miles from Mount Desert Island, 28 minutes to downtown Bar Harbor, 25 minutes to the main entrance to Acadia National Park. Activities in the area include lake swimming, boating, kayaking, hiking, fishing, sightseeing, whate watching. Cottage is close to golf courses, public tennis courts, water park, miniature golf, horseback riding, and an oceanarium! This is a Sunday to Sunday rental.